It is a universal fact that everyone needs a break from the routine once in a while. 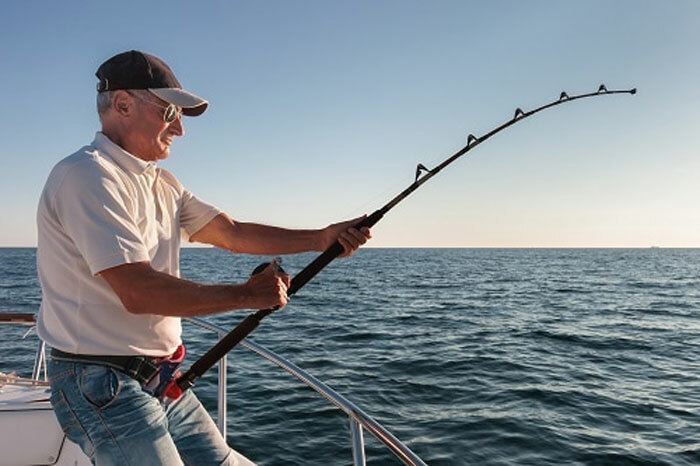 The idea of a break can mean many different things to different people, but to a fishing enthusiast a break almost certainly means time near the water hoping to catch the “big one.” If fishing is your passion, consider treating yourself to a weekend fishing charter. You will make memories that last a lifetime, and later enjoy fresh ocean fish caught by you. There are many reasons a fishing charter is the perfect weekend getaway. Your leisure time is precious; why spend your time gathering gear, packing food, and taking a long drive to the nearest pier or beach? On a weekend fishing charter, all you need to concern yourself with is having a great time, and bringing plenty of sunscreen. Charters have your gear, take care of licensing requirements, and have knowledgeable staff on board to make sure you are safe while you enjoy your adventure. Spending a weekend on a fishing charter is all-inclusive; no hidden fees or extra charges tucked away in the fine print. You will have everything you need, except for clothing and personal items, provided by the charter company. You will meals plus snacks and no alcoholic drinks. Your charter provides bait, tackle, and coolers for your catch, and the staff will clean, fillet, and ice the fish you caught if you treat us kindly! The crew aboard your charter fishing vessel have years of knowledge as well as state of the art equipment to make sure that you get a great catch. They can take you to the best spots for the type of fish you are looking to catch, and once there, use sonar equipment to visualise what is under the water’s surface. They are also well versed in the laws and catch limits to keep you out of trouble. Having a great crew makes it much easier to enjoy your time at sea. Sharing a fun experience like charter fishing helps strengthen bonds between, friends, family, and coworkers. Everyone in your group will work together and make priceless memories. Of course, not all charter fishing companies are created equal. It is always a smart idea to look at the company’s experience and previous customer reviews as well as any detailed information on their website to be sure that you have the right kind of charter for your needs. WA Fishing is a highly recommended fishing charter company with years of experience and a very customer oriented staff. They are sincere fishing enthusiasts who know their way around the waters off the coast of Western Australia. Education doesn't have to be boring. Learning can actually be a lot of fun. If you want to open your mind and expand your horizons, a charter fishing trip can help you do so. A knowledgeable captain can give you invaluable insight regarding the waters that surround you. A captain can teach you about native fish species and their patterns as well. It doesn't matter if you want to learn about fascinating barramundi or about coastal climate conditions. A charter fishing trip can be an eye-opening and intriguing experience for anyone. You can learn a lot in the span of a few hours! Life can be stressful, complex and busy. That's exactly why charter fishing trips can make such a refreshing change of pace for so many. 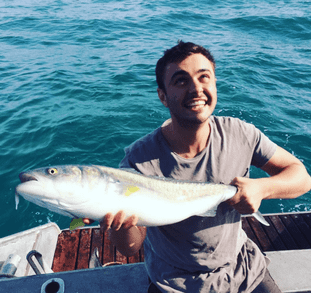 If you want to sit back and take it easy for the day, few things can top the enjoyment and leisure of a good old-fashioned fishing charter excursion in Western Australia. Fishing charter trips can be terrific for people who wish to relax and relish the magnificence of the scenery around them. They can be terrific for people who just don't want to have to worry about anything for a few hours as well. When you go on a charter fishing trip, you're not responsible for the hard work. You don't have to come ready with fishing supplies or equipment. You don't even have to think about food and beverages. The helpful staff members manage anything and everything for you. What could be better than that? If you're interested in unwinding and forgetting all of your problems for a while, a lovely charter fishing trip is your best bet. Independent fishing trips can sometimes be rather discouraging to people. If you have no luck in the fish catching sphere, however, you don't have to lose all hope. A seasoned captain can guide you to all of the greatest fish catching locations. He can increase your odds of catching fish substantially. Experienced guides can teach you about helpful techniques that can entice fish easily as well. This level of fishing expertise can be hard to come across these days! Charter fishing trips are a lot of fun. There's no getting around that. If you're planning a day of laughter and great conversation with some of your best friends in the world, charter fishing can be a terrific activity choice. 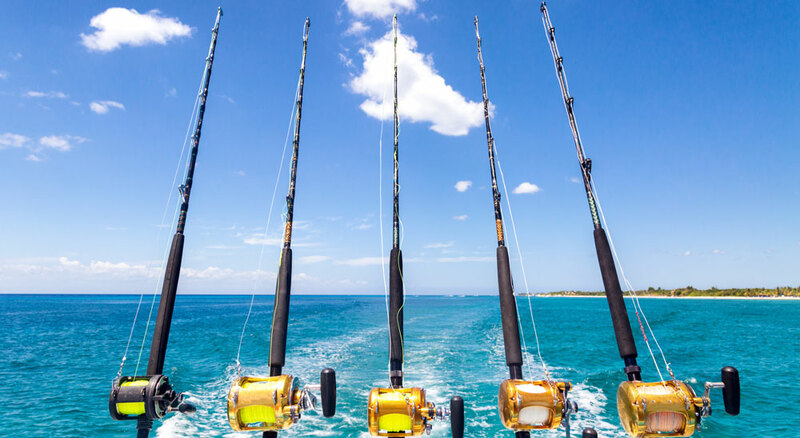 If you're looking to spend quality time with some of your most beloved family members, charter fishing can be just as great an activity option. If you're tired of the same old restaurants, shopping malls, recreational facilities, amusement parks, historic attractions and museums, a charter fishing adventure in the company of the people you love can make an energising change. You don't have to be a fishing aficionado to appreciate charter fishing excursions, either. These trips can be a lot of fun for all people. It doesn't matter if you have a friend who is 100 percent clueless about fishing. It doesn't matter if your aunt or uncle is a fishing connoisseur, either. Charter fishing trips can make incredible experiences for all people. Charter fishing trips encourage physical activity. These trips, in turn, help enhance well-being and health. Fish reeling calls for bodily strength. The same goes for throwing lines. If you want to combine the perks of relaxation and physical activity, a charter fishing trip is the way to go! Western Australia is a beautiful place. It's home to friendly people, stunning landscapes and plentiful recreational activity opportunities. If you want to combine all three of those things, you should consider going on an invigorating fishing trip. WA Fishing is a reputable Perth-based company that offers the finest and most dependable fishing charters in the area. If you want to revel in sun, blue skies and the sheer beauty of the water, nothing can top our fishing adventures. We specialise in fishing charters in Perth and all over Western Australia. The advantages of charter fishing are abundant, to say the least. Treat yourself to a well-deserved weekend break and book your charter fishing trip soon? The fish are waiting. Please call us to organise your next adventure!